To help you find desired video clips more easily and efficiently, we've launched a unique new feature called "Visual Search" across web and iOS/Android App. 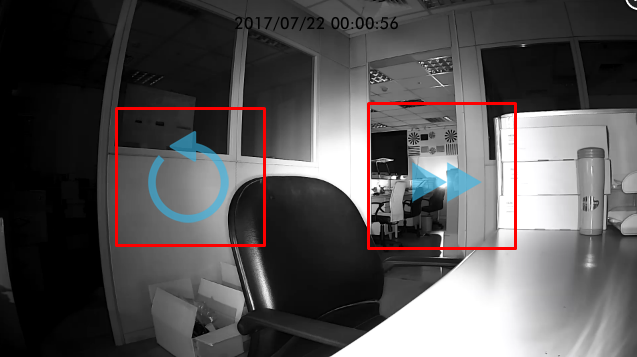 This is a function that can let you easily find the video clip by browsing through camera snapshot of a selected period. To start using visual search, please first click the “Eye” icon added to our current interface to enter the visual Search page. 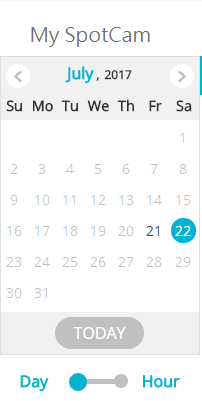 In visual search page, you can select the date which is written in dark gray (means there are recorded data on that day), selected date will be marked in blue dot. If there is no recorded data, the date will be written in light gray as shown in below screenshot. There will be 24 snapshots showing up once user select a day with full recording data, each snapshot is taken from the beginning of each hour and click on any one snapshot will then bring you to next page where you will see 60 pictures, each pictures is a snapshot taken from the beginning of each minute in the selected hour. 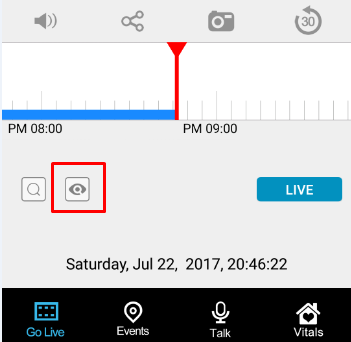 Click on any given snapshot will then playback recorded video of that minute. After playback finish, you can easily choose to play next minute or replay the current minute. 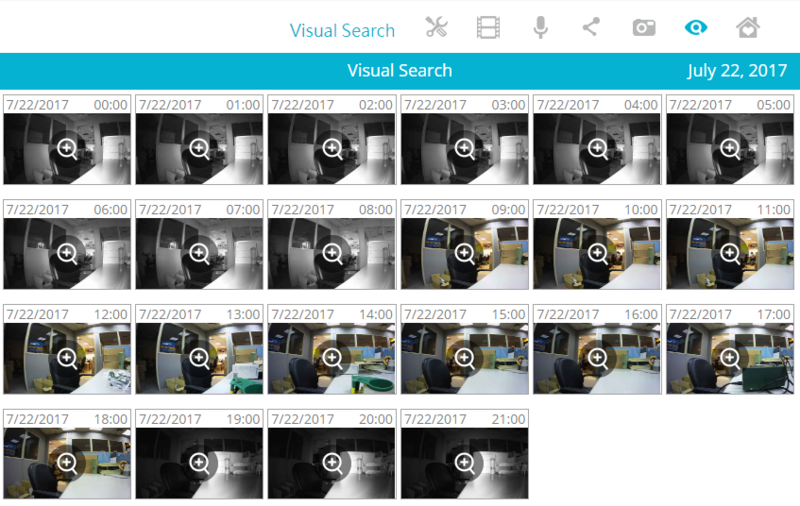 Visual Search feature can help you easily find the exact time period in which an event happened through all recording data. For example, if you want to find out when your car was stolen during the night, you can easily use visual search to find the right hour and then right minute and check the video out.